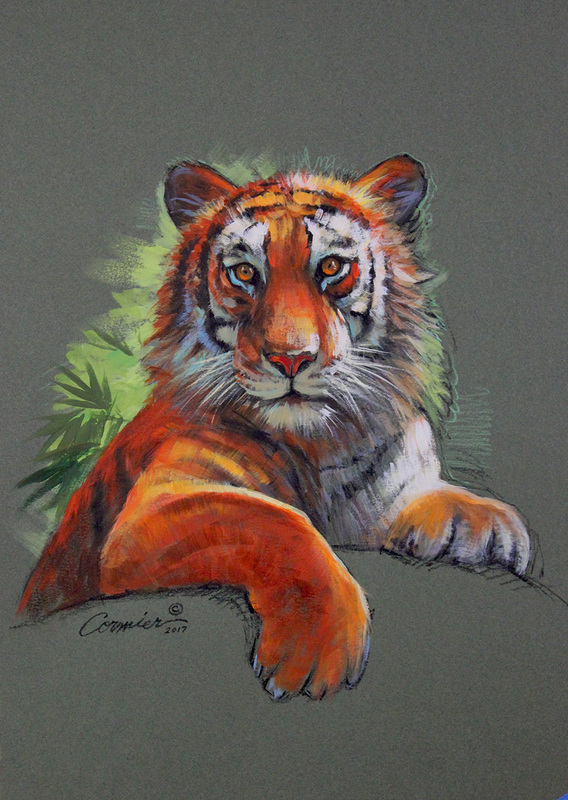 Original Mixed Media Sketch of Tiger size: 12″x 16″ Charcoal and acrylic paint on toned surface. Original Mixed Media Sketch of Tiger size: 12″x 16″ Charcoal and acrylic paint on toned surface. Call for pricing and availability.